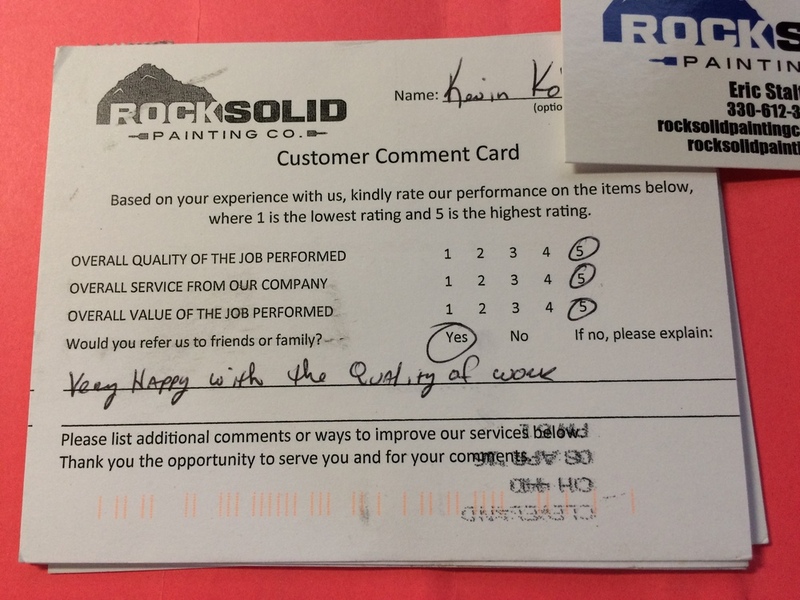 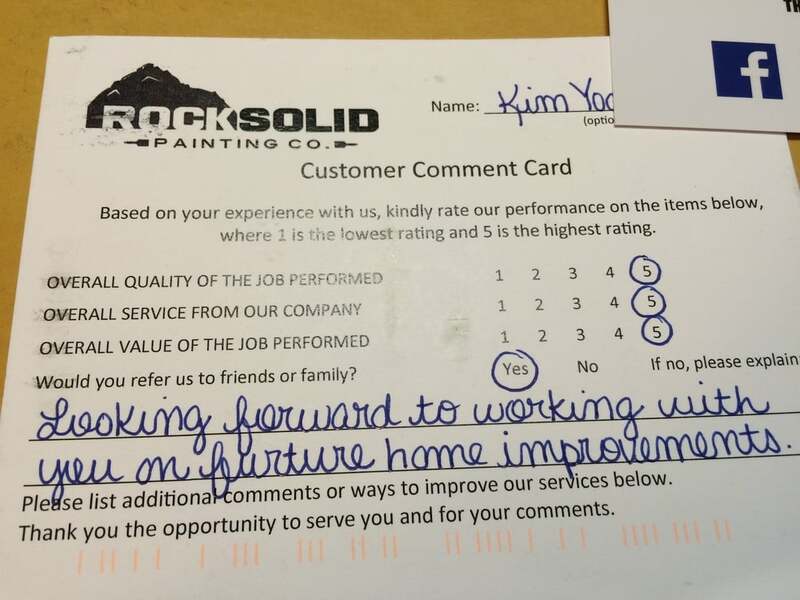 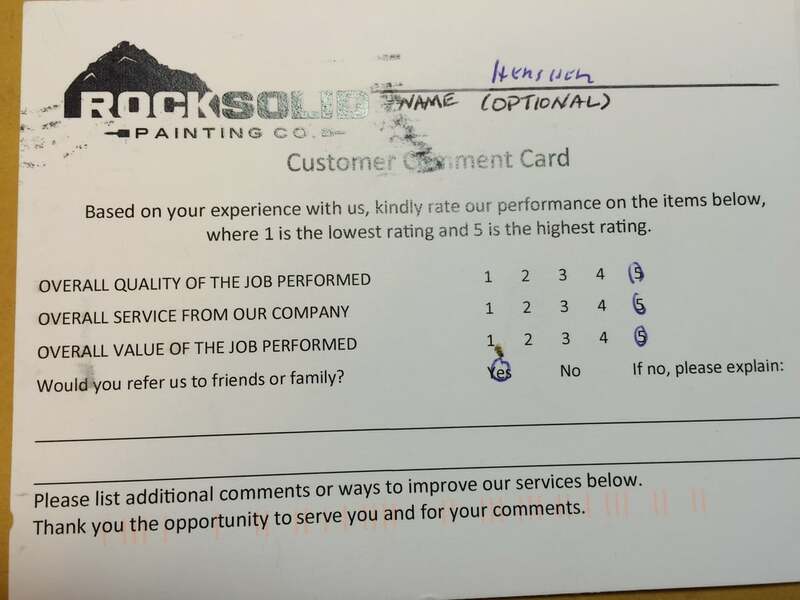 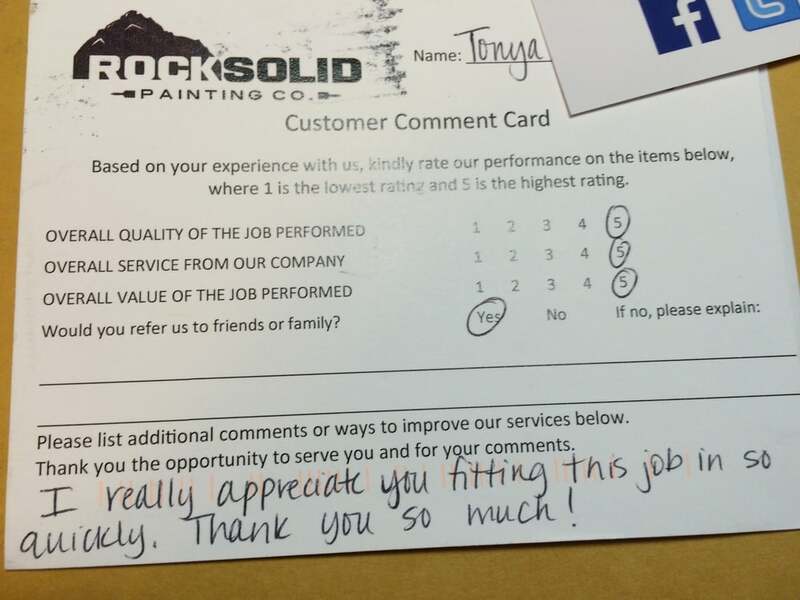 Customer Reviews — Rock Solid Painting Co.
We like to get feedback from our clients after the work is completed. 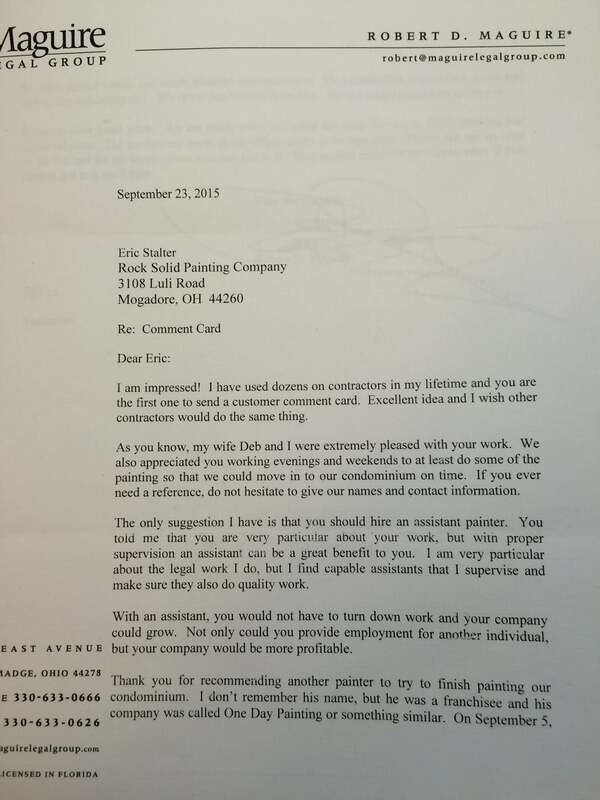 We want to know how we can improve and if the client is satisfied with our craftsmanship. 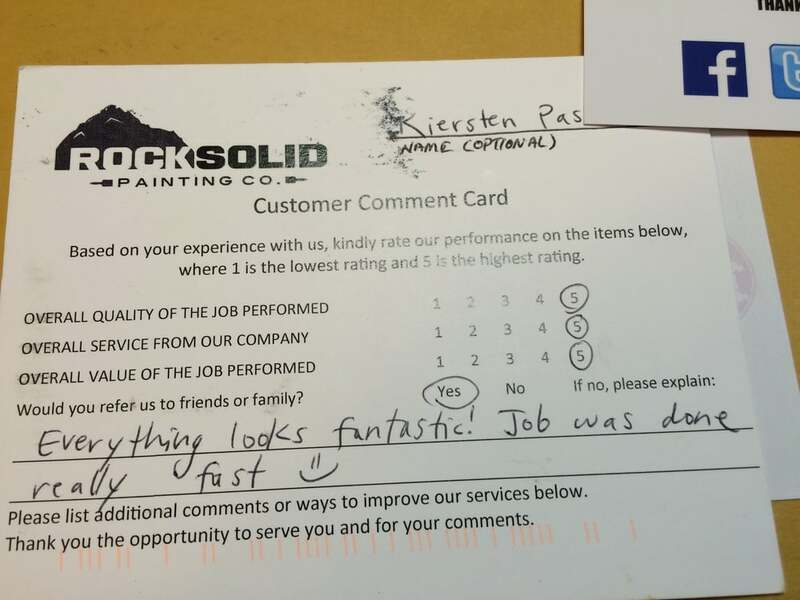 We love to hear back from customers after the job has been completed!